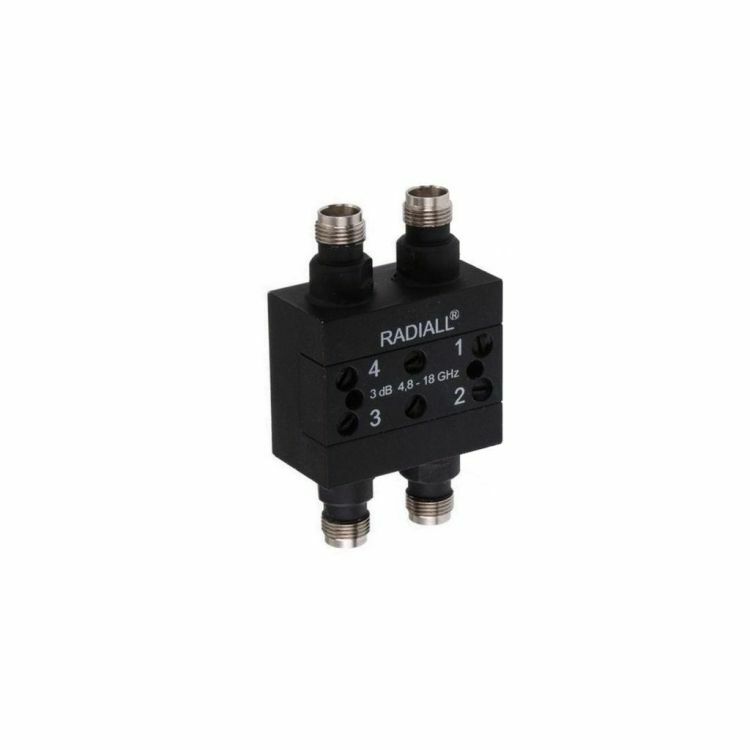 Radiall's 90 Degree 3dB Hybrid couplers are used in applications requiring a balanced division of power into two transmission lines with 90 degree separation of phase. They offer a wide frequency coverage from 0,15 to 18 GHz in single, compact packages which provide low insertion loss, high directivity and tight coupling. Radiall 90 dregree hybrid couplers are designed and tested as per MIL-STD-202 standard.